← tap, tap, tap. hello, are you still there? My brain is stuffed full of wedding list items to tick off one by one. Today is pick cupcakes, french macaroons and brownies day. It will be really, really awful. Everything else is coming together- wacky, red-haired photographer: check. Catering- check (I’ll talk more about that food another time.) License- applied. Shoes- very important- check. Dress- check. A flurry of girly appointments- check. Groom- check. I think we’re good to go! Since I’m one of those brides who could eat mexican or italian food every night of the week, Sunday was whip up some stuff day: Thus was produced, Bolognese sauce (another post day- ungodly good stuff) and Picadillo filling (aka taco meat.) Post haste beginning of bridal boot camp soon. First up, homemade taco meat, also known in fancier terms as Picadillo. Or if you spell it with an “e”, Pecadillo, apparently means “little sin.” Quite perfect. My good friend, Amy, passed this little recipe on to me years ago and we’re both hooked. I come running when she calls and says, “We’re making tacos. Want to come over?” You don’t have to ask me twice. Once you make it, not from a little overly salty packet, you won’t go back. Easy- check. Tasty- check. Freezer friendly- check. It just tastes fresher than using the pre-made spice packet for taco seasoning. I usually double the recipe and freeze a ton. It’s great for tacos, enchiladas, nachos, what ever your little corazon desires. What we did, witnessed at Amy’s house as well: Double Decker Tacos. Can be doubled, tripled, frozen. 1. Heat oil until hot over medium heat in a large skillet. Add onions, garlic and spices. Season with salt and pepper. Cook until onions are softened over medium/medium-low heat, about 10 minutes. Stir occasionally. Add tomatoes and boil until thickened, about 2 minutes. 2. Stir in meat and chicken broth. Break up meat with spoon to get it nice and small. Adjust heat so mixture simmers. Cook until meat is cooked and mixture thickens, about 15 minutes. 3. Stir in cilantro. Season with salt and pepper to taste. Serve! So now we make this delectable filling in to a masterpiece. Bake up a few corn tortilla taco shells. Take a soft flour tortilla, smother with some cooked refried beans. 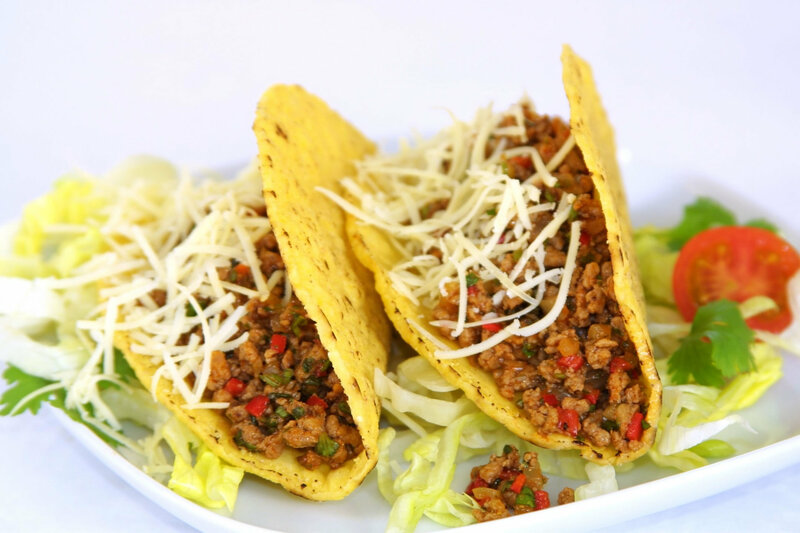 Put crispy taco shell inside and spoon in a few spoonfuls of taco meat. Sprinkle some cheese in and then cook in about 1 tablespoon of oil in a skillet until crispy and toasted on the outside. Continue to fill with whatever taco toppings you desire: shredded lettuce, avocado, sour cream, diced tomatos, onions, etc..
We ate this so quickly I forgot to take pictures of the beauties. By the way, do not search for images of Double Stuffed Taco at work. Holy Guano, I had to soak my eyeballs in paint thinner and pray I didn’t get called down to the tech office and fired. Do not search now for those images, unless you are in to that kind of thing. I don’t judge. 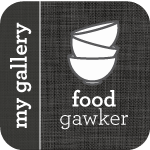 This entry was posted in Beef, Freezer Friendly, Uncategorized and tagged cilantro, ground beef, ground turkey, mexican, picadillo, taco meat, tacos. Bookmark the permalink. Made this last night for the Schoenherr Halloween Invitational Taco Showdown (S.H.I.T.S) It was a huge hit! Thanks! That’s awesome! Who won the taco showdown? Thanks for the feedback- glad you liked it!